Daihatsu, the small Japanese manufacturer, will unveil this very strange concept at the forthcoming Tokyo motor show. It’s a very compact minivan with the name of FC Sho Case. 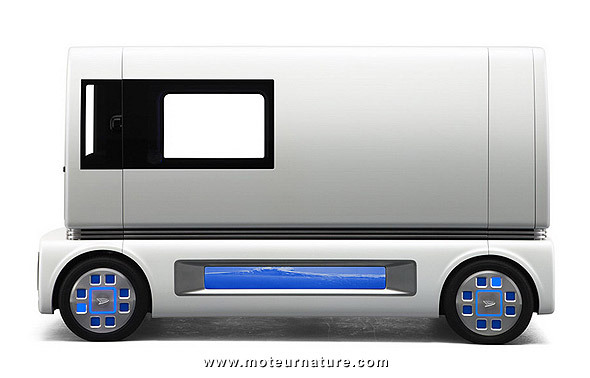 FC stands for fuel cell, and the tech inside is more important than the car’s design. Though, this thing looks really incredible. It’s so clean, so pure! Looking from the side, you can’t tell the front from the back, but it’s marvelously sharp. Back to the tech side, this concept wish to resolve a long-standing problem of a fuel cell: its need of precious metal such as platinum. Engineers have been working on that for years, and the quantity of platinum is down to a few grams, but Daihatsu goes one step further. The manufacturer says its new fuel cell is totally free of precious metals. This is the first time we see this on an automotive size fuel cell, and that should make that it much cheaper. Another surprise is that it doesn’t run on a gaseous fuel, but a liquid one. An alcohol maybe. We’ll find out at the motor show. 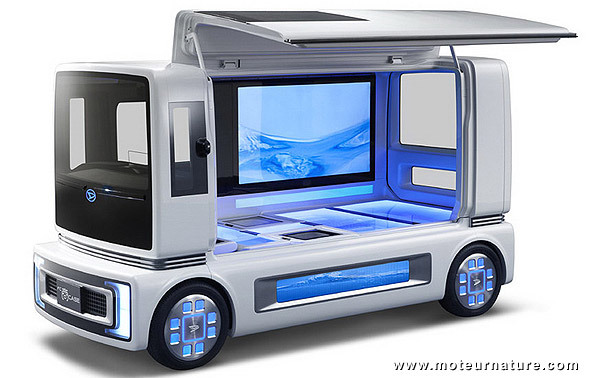 We will also discover what Daihatsu had in mind, as this FC Sho Case seems to have been designed for something other than moving people around. We don’t understand the purpose of a steering wheel which retracts into the dashboard, and seats that fold into the floor. 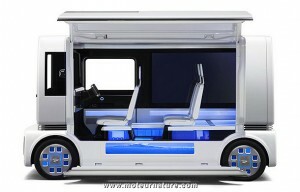 With a large TV screen on the cabin’s right side, maybe this FC Sho Case can turn into a mobile TV for camping use?